Experience sleeping inside a historic castle with one of our Bovey Castle hotel rooms. Settle down and relax in either a king, queen or twin bed room all featuring an ensuite bathroom with walk in shower. 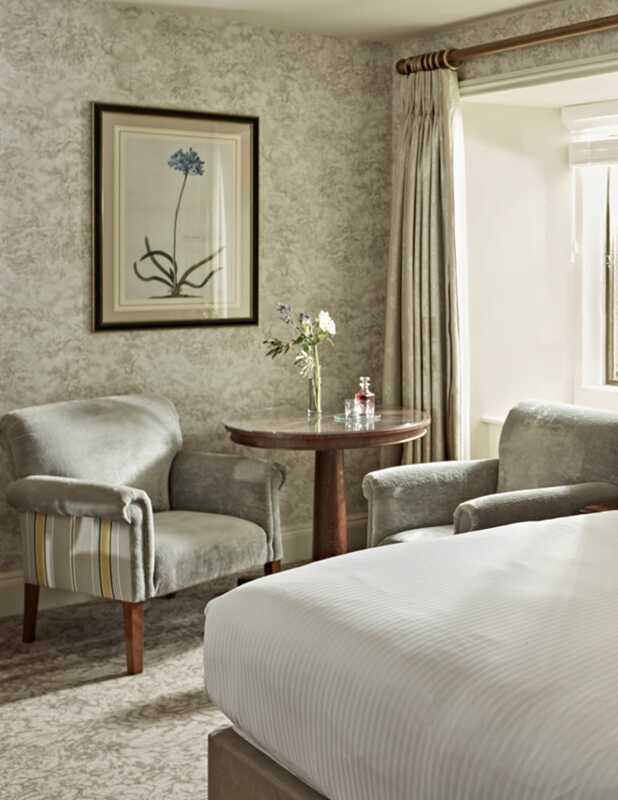 With views out across Bovey Castle's courtyard or woodland, you can enjoy a truly luxurious stay in one of our castle rooms. Soak up the beautiful views out onto woodland, the castle courtyard or even across the valley. Our castle rooms offer lovely views of either Bovey Castle’s courtyard or woodland and a few have restricted valley views. All guests have access to the hotel’s indoor swimming pool, whirlpool, sauna, steam room and gym. Room tariff for castle room is between £249 – £339 per night. Children up to the age of 4 years are accommodated free of charge in a cot or on an extra bed. Children aged 5 – 14 years can be accommodated in parent’s room on an extra bed at the cost of £20.00 per night. For two children, interconnecting rooms can be requested.